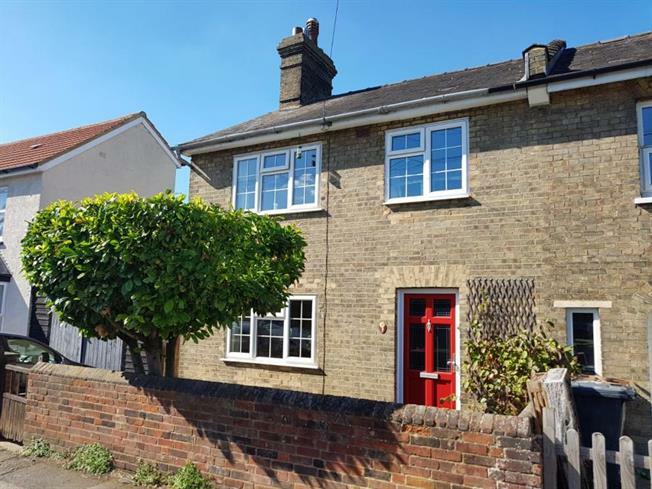 2 Bedroom Semi Detached House For Sale in Hitchin for £435,000. Fabulous two bedroom semi detached house, centrally located for good access to Hitchin train station and the town centre. The property offers a spacious entrance hall, separate stair case leading to the first floor, Through lounge / diner with gas feature fire place and French doors leading out to the rear garden, separate modern fitted kitchen with some integrated appliances. On the first floor there are two generous bedrooms and an impressive family bathroom which was originally the third bedroom. The property offers gated side access, resident / on road parking, beautiful well maintained rear garden (approx. 90ft) and ample outside storage. This property would be perfect for somebody working from home as it also features a lovely double glazed studio room at the foot of the garden, providing an idyllic setting for a home office. Viewing is strongly advised to appreciate the internal accommodation along with the properties perfect location.